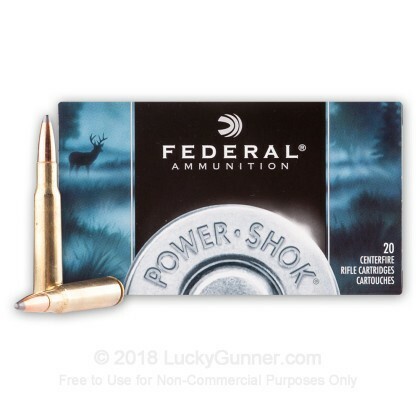 Federal's Power-Shok brand is all about giving hunters great options for the field without emptying their wallets or compromising on component quality. 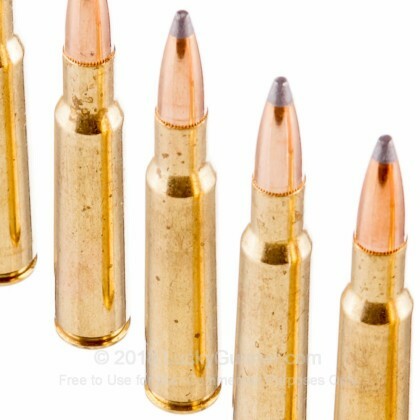 As such, these 7mm Mauser rounds feature soft point projectiles that are formed via Speer's Hot-Cor process. The Hot-Cor method takes a pre-formed copper jacket and pours in molten lead, resulting in a projectile that is free of air pockets that could ruin density and an advertised weight of 140 grains. To finish the bullet, Federal cuts its exposed lead tip and tapers it to the jacket curvature for excellent in-flight drag resistance. Each 7x57mm projectile is then secured into a reloadable brass casing at its crimp point which bears a toothed cannelure; prior to firing, this series of grooves protects the round from jostling in order to preserve accuracy. Upon impact with a deer or black bear, the round will immediately begin expanding from the tip down. 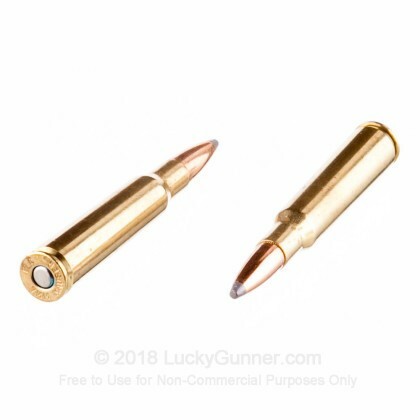 This increase in diameter creates a large a wound cavity but the expansion is slowed by the bullet's jacket and cannelure to ensure that the round maintains enough momentum to reach vital organs for the best deadly effect. The cannelure also prevents jacket separation which could cause early fragmentation that needlessly wounds a game animal (or ruin good meat). 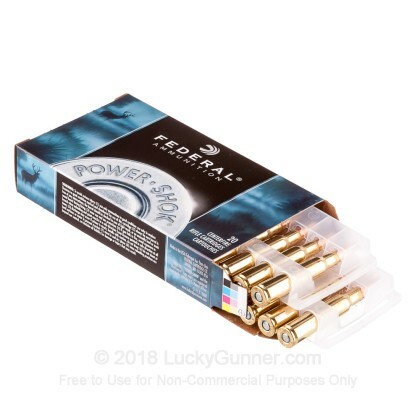 Federal, an Vista Outdoor entity, is well known for always manufacturing dependable ammunition that yields excellent results in all fields of shooting. 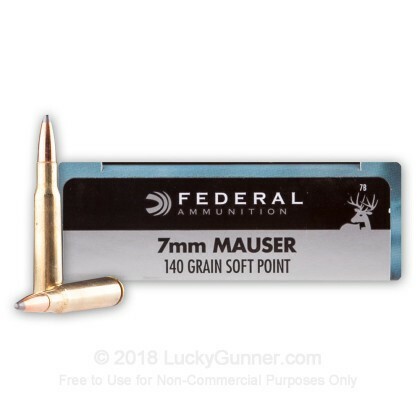 We don't have any reviews yet for this particular 7x57 Mauser ammo from Federal. 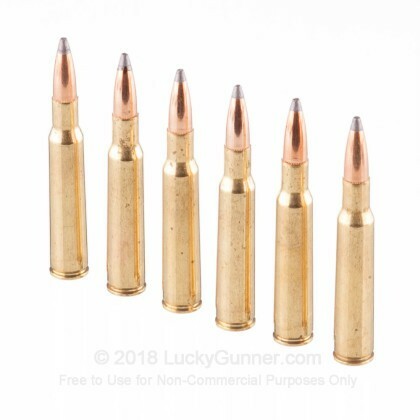 If you'd like to be the first to review this particular 7x57 Mauser ammo from Federal, fill out the form below.